The Center for Disease Control and Prevention (CDC) has created an American Diabetes Month webpage, with resources for you to use to promote National Diabetes Month 2014. The American Diabetes Month webpage includes information related to diabetes and prediabetes, social media links, and 8 infocards/web buttons that you can use in your diabetes prevention and management efforts within your social media communities. 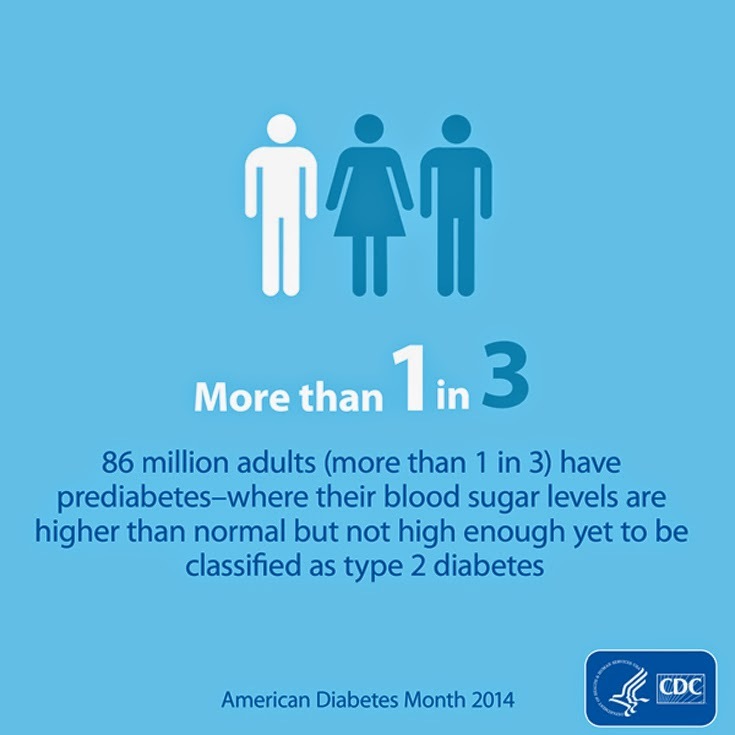 In addition, diabetes and prediabetes infographics are available for use and can be found on this page: http://www.cdc.gov/diabetes/library/socialmedia/infographics.html.